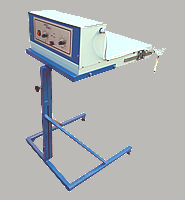 The flash heater is suitable for drying T-shirts or textil printed 4 or 6 colour rotary screen printer. 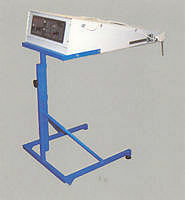 After printing the material rotates under the flash heater and the infrared tubes flash light and heat to cure them. The timer and an automatic position switch assure the receipt of the required heat for the screen printed material.